You can see the totem panels installed here, above. Aren't they colouful? To the left of the display is a Town and Country setting. 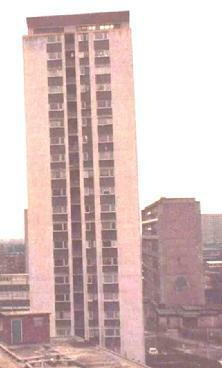 Barrie House was included, with improvisations of the surrounding estate. 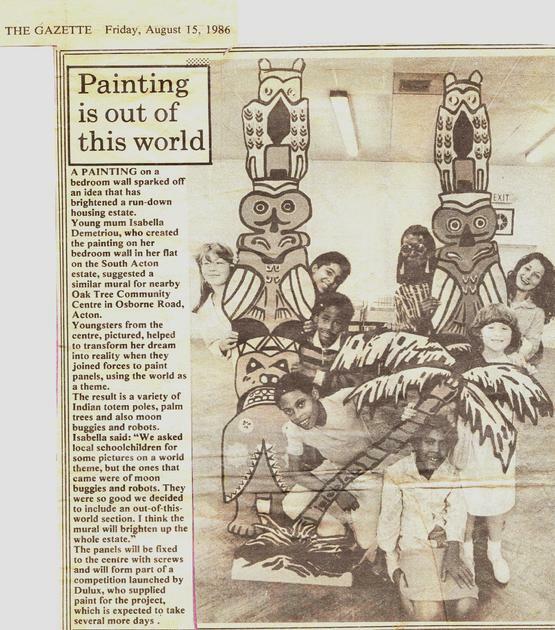 My eldest daughter (Stella Demetriou) was the youngest child to make their mark here.. at just 18 months with a paintbrush at hand and dabbling with pigment. Stella later completed a Foundation in Art & Design at Wimbledon. She had also been offered a place at Chelsea School of Art, which was the same place that I turned down after discovering that I was pregnant with her! 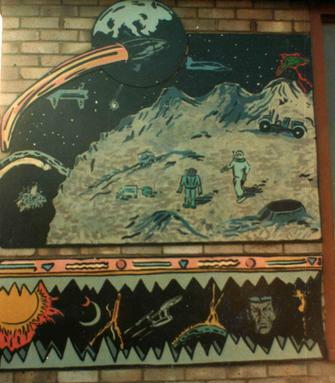 Beside this panel is what I entitled 'Out of this World Theme'. After contacting John Angus (headmaster at Berrymede School), the pictures that were submitted included a few of spaceships, rockets, a moon buggy too! The theme was to be a 'world theme' and different aspects of different cultures around the world were to be included.. dress, food, buildings, domestic and natural habitat creatures. It showed that some saw the world as bigger than what we see before us. I still think that moon buggy is the business! You'll see it more clearly in the photograph further down the page. The predella for the 'Out of this World' panel includes a Dr. Spok (from the orginal Star Trek), which Martin Frost's guiding hand helped to create here. I showed the children how a space suit can be made to look baggy by adding crease-lines. 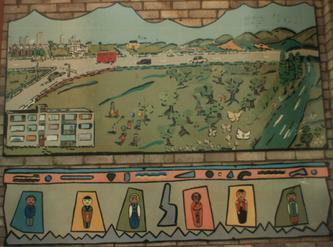 Under the 'Town and Country' panel are a series of skittle-like characters in national costume. Several magazines were gathered for inspiration and these took inspiration from 'Stories from Around the World' in the Reader's Digest Magazine. The 2D totem pole structures were the first to be made, as seen here. Each one had to be primed first. For exteranl murals it is best to treat the wood so that it will withstand the elements. - 2 were cut widthways, allowing us to create 4 predellas to go beneath each of main panels. Predellas are additional pictorial artworks, which lend to the allegory in a main setting. In others words a connected theme usually as wide as the main artwork, but much narrower from top to bottom. Most of the paint was from Dulux as the first stage of a National Competition, but Martin's idea to use pigment tints helped to achieve a greater variety of hues and tones in the construction of images. 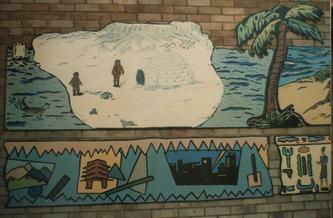 The finished murals were sealed with varnish, for further protection. Wooden panel murals are recommended for community art, because they can be produced off-location, inside away from harsh weather, on a flat surface and installed at a suitable site on completion. In addition, the ability to remove the mural panels allows them to be transported to other suitable locations. 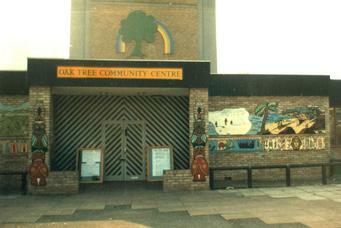 The wooden mural panels lasted almost 22 years, at the Oak Tree Community Centre in South Acton, before the original Oak Tree Community Centre was demolished to make way for a new one. If you took part in this project and want to add to the site in any way (yes Martin Frost, you too!) contact me via any link/s at bottom of this page. Barrie House, 18th floor, the views and sunsets were awesome!. (2nd floor down, window on the right). in Acton Green, Chiswick W4. West London. (many of whom didn't realize that they could draw with paint!). Albert Ludwort RIP you was and still are a great artist! 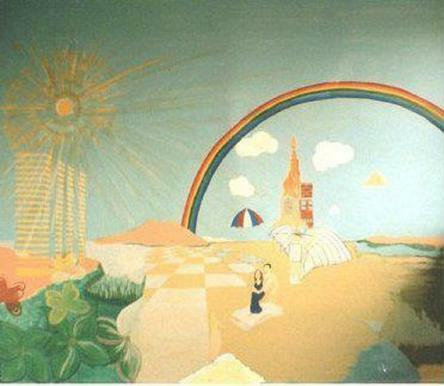 The first interior wall mural I painted was in a house that I shared in 1983 at Avalon Road, London SW6 and the second at Barrie House in South Acton. 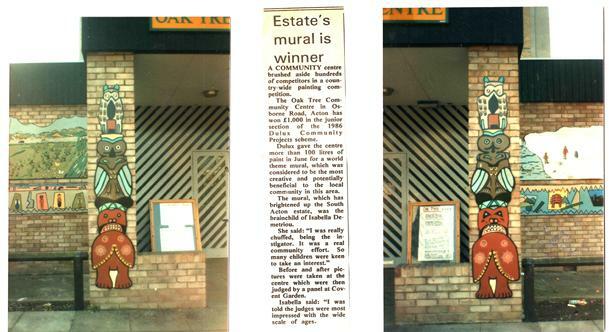 It was the second mural that led to the first community project I directed and co-produced at the Oak Tree Centre in South Acton. 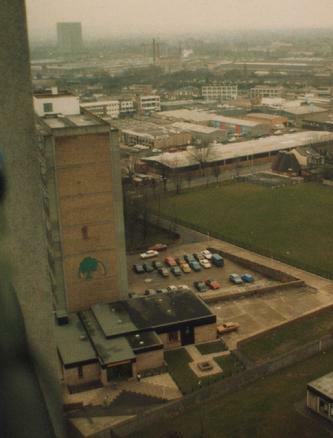 I wrote a poem, about the daily experience of living in the tower block, the 18th floor was high up and many just couldn't bear the smell of urine on the lifts. I don't blame them, but I got on with it and sent the poem to my local councillor, John Cudmore. 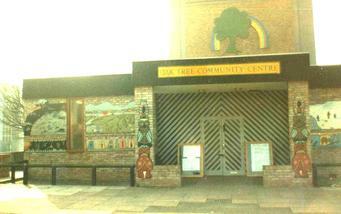 He wrote back and said to go and see Martin Frost, who was the local Community Centre Manager. I did and before I could say 'Jack Robinson' plans were in process. The conversation I had with Martin about the poem opened doors and after hearing about what I'd painted on my bedroom wall Martin asked if I would run a mural project, with the kids and willing adults on the estate. 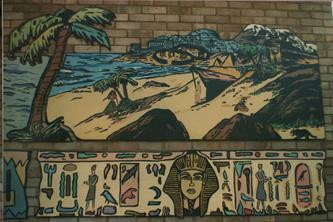 With the possibility of paint donations from Dulux Paint the vision of a mural in South Acton were already manifesting! The poem was subsequently published and the photos on this page speak for themselves. Acton used to be called Acorn, if you check out some of the other artwork on this site, you will see the running theme of Oak Trees and Acorns. But for now, I hope that you enjoy a step into murals and art of the past.